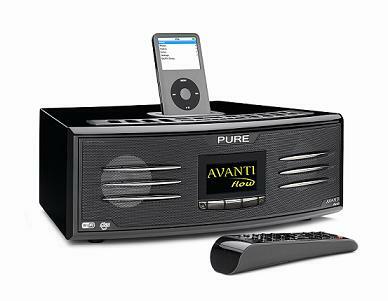 According to Pure, the high performance Avanti Flow is the “ultimate next generation digital audio system”. Following on from the rather retro Evoke Flow, the Avanti Flow more-or-less offers the same audio options – internet radio stations, DAB digital radio, FM, media streaming from your PC, podcasts – except the Avanti comes with added iPod dock. The Avanti has also been designed with being the main home audio system in mind rather than being a portable device like the Evoke. I got up close and personal with it last week and its glossy piano black looks are somewhat fetching and might even muster a few ooohs and ahhs. Sound-wise, it’s packing Pure’s Clearsound technology for clear dynamic audio, noisy volume levels and low power consumption. As well as that, it features a 5.25-inch downward firing subwoofer, custom tuned speakers and 2 x 3-inch mid range drivers to deliver hi-fi quality audio. The good news is it’s available just in time to be wrapped up and put under the tree. The bad news is, at £279.99 it’s a tad pricey.